I’ve been a fan of VIZIO since I purchased one of their LCD HDTVs 10 or so years ago. So, when they contacted me and offered to give me their latest VIZIO M50-E1 4K HDR SmartCast Display for testing, how could I say no? The VIZIO M50-E1 is a 4K HDR 50-inch television display. 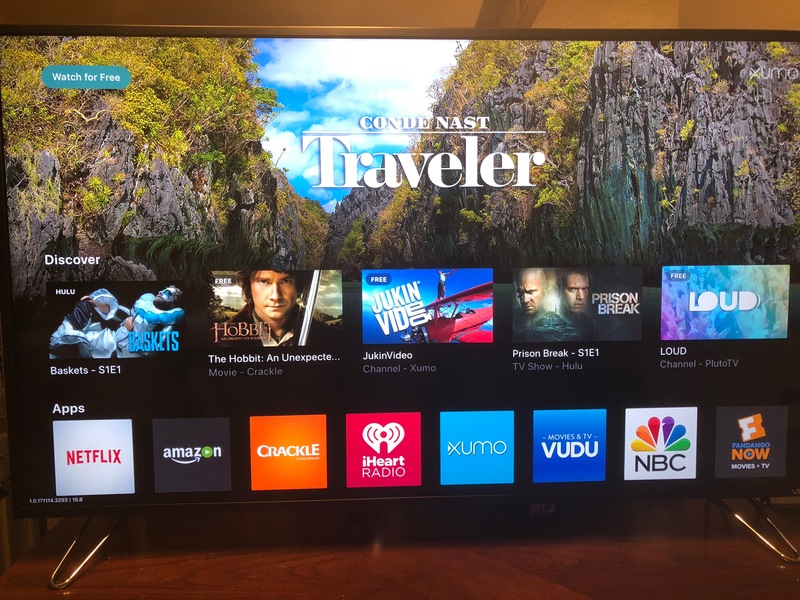 The unit does not include a tuner, and instead relies on its own built-in streaming apps and Google Chromecast capabilities or connected devices, such as cable boxes, set-top streaming boxes like the Apple TV 4K, and gaming consoles for content. The M50-E1’s screen is stylishly encased in a matte black bezel frame, 0.6-inches wide at the sides and top, and 0.8-inches at the bottom. The unit can be mounted on the wall with an optional wall mounting kit, or can be held upright with included V-shaped feet, which do a good job of holding the unit securely upright. The display boasts a total of four HDMI ports, a composite video input, two USB ports, and Ethernet port, and optical and stereo RC audio inputs. Setup time, from out of the box to viewing, up took around a half an hour, but that included attaching the display’s feet, connecting the unit to my home Wi-Fi, and running an update for the display’s firmware. Setup can be completed via the included remote, or by downloading the VIZIO SmartCast mobile app to your iOS or Android device. Setup via the iPhone app was easy to do, with step-by-step prompts from the app. The only issue I had during setup was in naming the display for use with the app and Google SmartCast. No matter what I tried to name the display, the app would prompt me to name it something else. I finally agreed to the default name, and changed the name of the display later via its own built-in menus, using the included remote. Note: The display will look for the latest version of firmware during setup, and update itself if needed. There was an update available, and the M50-E1 updated automatically. Following the update, I decided to reset the display to defaults, and go through the setup steps again. This time, I was able to rename the display using the app. 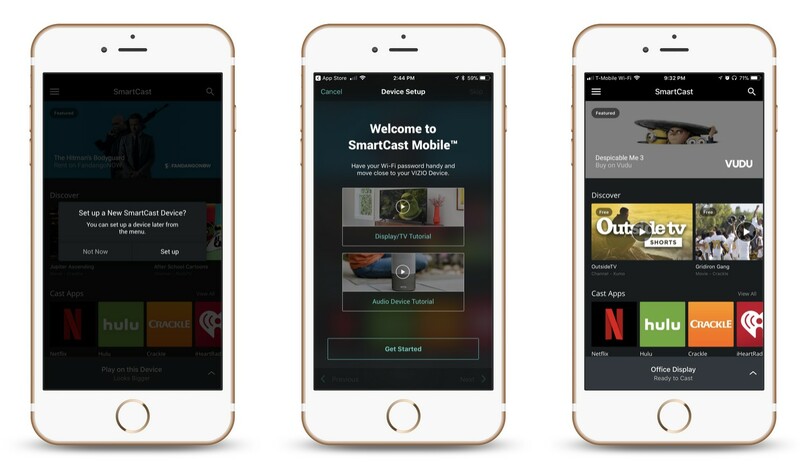 Streaming content can be enjoyed via the display’s own cloud-based apps, which include Netflix, Hulu, Amazon Prime Video, iHeartRadio, and many more. Users can also stream content to the device via Google Chromecast from your smartphone, tablet, or by using voice commands via a Google Home device. The actual display sent to me by VIZIO. My Photo does not do the display’s capabilities justice. I like the fact that the apps are not actually loaded on the display, so they don’t require constant updating like many televisions and set-top boxes require. When an app is updated in the cloud, the VIZIO display automatically has access to it. They can also sync with the phone and tablet versions of the app, so that content cast to the display from one location (like the phone) can be controlled by another (such as the on-screen display or IR remote), and vice versa. When I connected my Apple TV 4K to the M50-E1, I enjoyed just how great the 4K HDR streaming content from Netflix looked on the display. The VIZIO offers support for both HDR10 and Dolby Vision, delivering a sharp, bright image, with a wonderfully beautiful color range. Support for the two HDR formats means you’re covered no matter who proves to be the winner. I have a 13-inch 2015 MacBook Pro I use as my daily work driver, and decided to hook it up to the display via the HDMI port. I was surprised at just how good the Mac Desktop looked on the M50-E1, and I actually used it an entire day, just to see how well it would work as a display. I wound up not using the display at its full 4K resolution as my 2015 MacBook Pro is a little weak in the graphics area. Instead, I hit a happy medium by using a mid-range resolution. I am sorely tempted to rearrange my office and mount the M50-E1 on my wall to use as my main display. I’ll keep you posted. 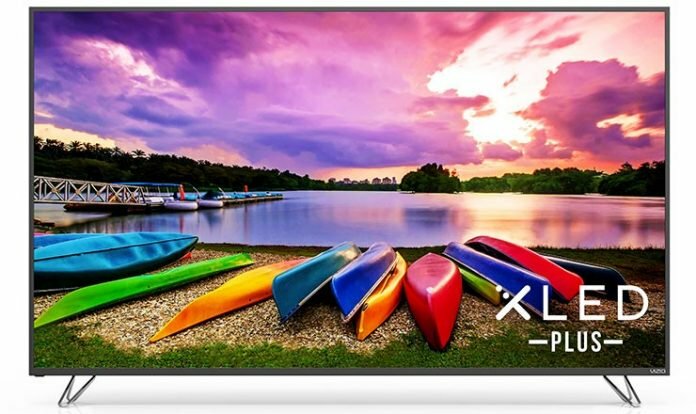 The VIZIO SmartCast™ M-Series™ 50″ Class Ultra HD HDR XLED Plus™ Display (M50-E1) offers a great way to view 4K HDR and other high definition content via its included apps or via Google Chromecast. The display offers a beautiful picture, keeps up with the action, and is a great way to enjoy your 4K content. The VIZIO M50-E1 worked well with my Apple TV 4K and my MacBook Pro, performing well in both cases. I would highly recommend the display for anyone looking for a reasonably priced way to view 4K video content, or to even use as a display for meetings or industry shows. 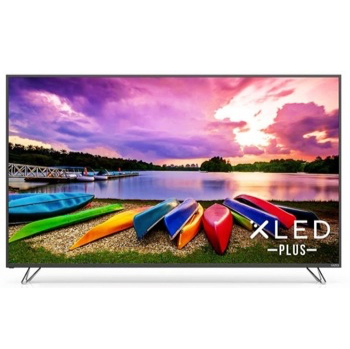 Pricing: The VIZIO M50-E1 retails for $599.00, at the time of this review it is available on the VIZIO website for that price, including free shipping. The display is also available at numerous online retailers, including Amazon, Best Buy, Walmart, Sam’s Club, and more. Disclaimer: The VIZIO M50-E1 display was provided to me at no cost, for review, and I was allowed to keep the unit. All opinions expressed are my own and are completely objective.